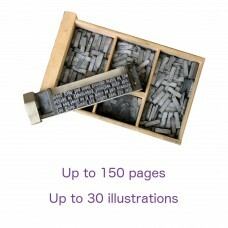 The price includes up to 150 pages (Word file) and/or 30 illustrations. If you have a longer book or one with more illustrations, please contact us with a copy of your manuscript and we will send you a custom price. We work on a basis of one set of changes per 4-page sample and one set of changes per final digital proof. Additional rounds of changes will be charged at £50 per hour.